The measure was attached to the bill to overhaul the nation’s tax code, which passed through the Senate early Saturday. 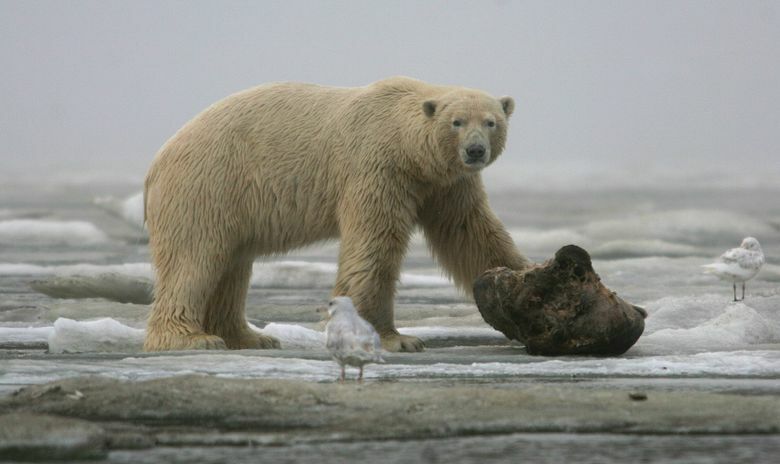 The Senate has given a green light to opening Alaska’s Arctic National Wildlife Refuge to oil drilling. In a vote early Saturday morning, Republicans rejected an effort led by Democratic Sen. Maria Cantwell of Washington to block drilling. The vote was 52-48. Republican Sen. Lisa Murkowski of Alaska had pushed for oil and gas drilling in a 1.5-million-acre coastal plain within the refuge. The measure was attached to the bill to overhaul the nation’s tax code, which passed through the Senate early Saturday. By attaching the provision to drill to the tax legislation — which is tied to the budget process — backers didn’t have to muster the 60 votes that would have been needed to pass and overcome a filibuster that a stand-alone bill likely would have faced. The Senate still needs to reconcile the bill with the House. Opening the remote refuge to oil and gas drilling was a longtime Republican priority that most Democrats fiercely opposed. 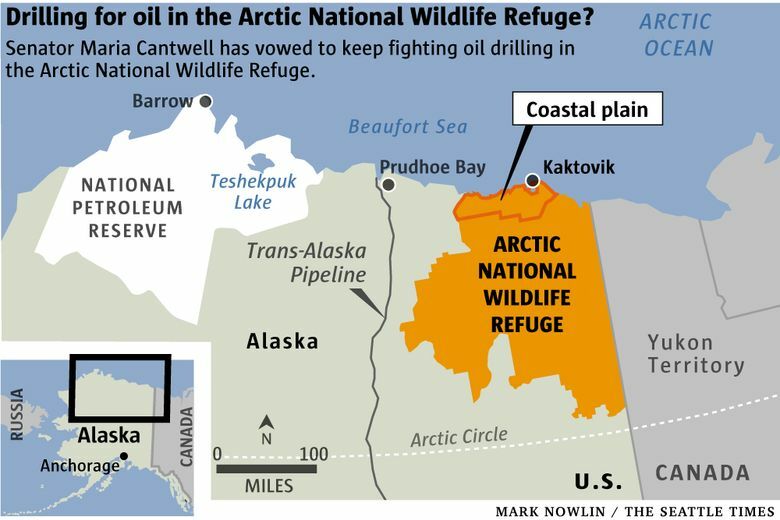 “The Arctic Wildlife Refuge is too important and too pristine to turn into an oil field,” Cantwell said in a Twitter post as senators voted on the amendment. This area, part of the broader 19.6-million-acre refuge, is prized by Alaska’s oil industry as prime for a major discovery. It also is championed by conservationists as the biological heart of the refuge, a crown jewel of America’s wild lands where the Porcupine caribou herd calves, polar bears den and millions of migratory birds gather. The coastal plain’s fate has long been a topic of fierce debate, with the 1980 act that gave the refuge its name also setting aside a decision on oil leasing for a future Congress, according to a Congressional Research Service report. The bill declares there shall be oil and gas development in the refuge, and that the lease must include the lands of highest oil and gas potential. Though Murkowski says there will be full environmental consultation, Cantwell says the mandate to drill effectively does away with meaningful reviews under the National Environmental Policy Act. Murkowski’s bill limits the oil-field development to 2,000 surface acres. Cantwell maintains that is a meaningless number with exclusions that include gravel mines and roads that might be built. Though leasing for exploration may happen during the next decade, any production on the coastal plain would take many more years. A 1998 report found the most likely scenario would be the discovery of 7.7 billion barrels of recoverable oil within the plain. The report noted a 5 percent possibility of as much as 11.8 billion barrels, an amount that if pumped over time would rival the total output of Prudhoe Bay during the field’s first 38 years of production.